When it comes to playtime, I don't know anyone who can get more active than my boys. Playtime is life for them, from my eldest teenager to my youngest toddler. As parents, we highly encourage active play among them. Kids these days have to be encouraged to play and it takes intentional parents to make this happen. Life is so different from how it was when I was a young little girl. 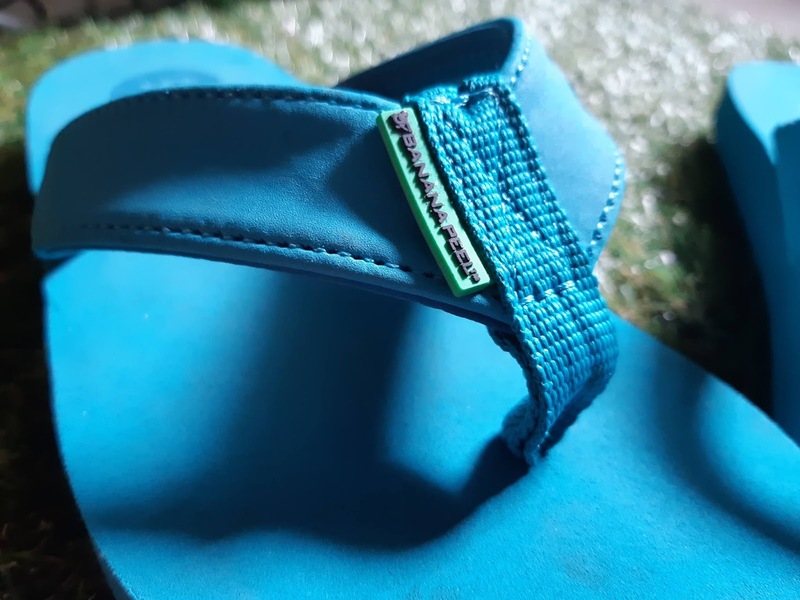 I used to be out with my neighborhood bff with my trusted rubber slippers to play Chinese Garter, Piko, Tumbang Preso, Habulan, and so much more. Playing at home also means we have to equip them with the right footwear, with enough hydration, and be vigilant that sweat doesn't dry up at their backs. Kids should be in comfortable clothes and rubber slippers that won't easily break. We recently discovered Banana Peel's Crewe Junkyard Flip-Flops and found it durable and safe to use for the kids. 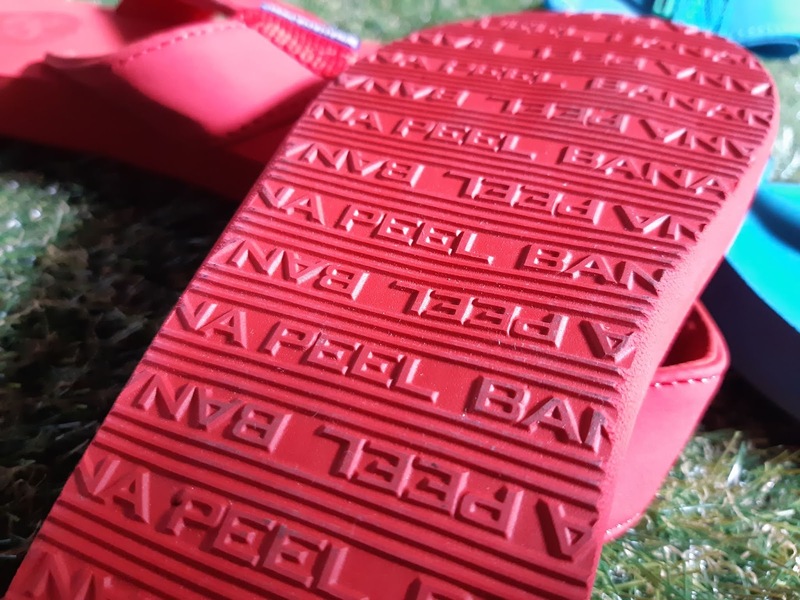 My first impression when I got a hold of these flip flops is that, it looks durable and not one that could easily wear even when user is unstoppable in play action. Next, the Banana Peel embossed print and grids on the flip-flop's soles make it safe to use for kids who may sometimes be not so cautious when running on slippery surface. The grids would produce friction and get a grip on the floor or wherever kids step on. Safety first! 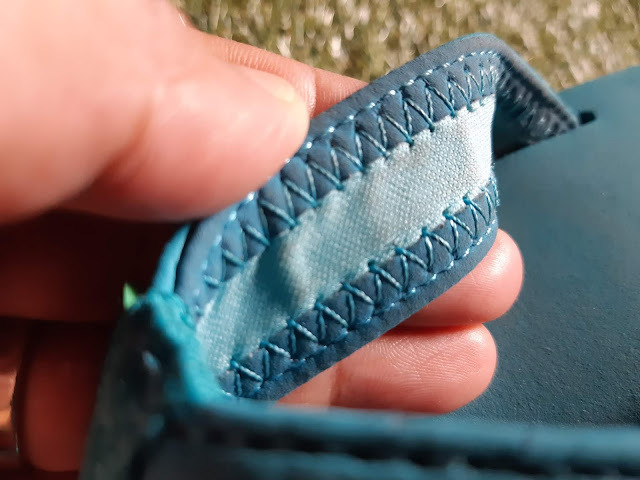 Our usual rubber slippers problem is that the strap easily breaks I guess it's mainly because the rubber used has poor quality. 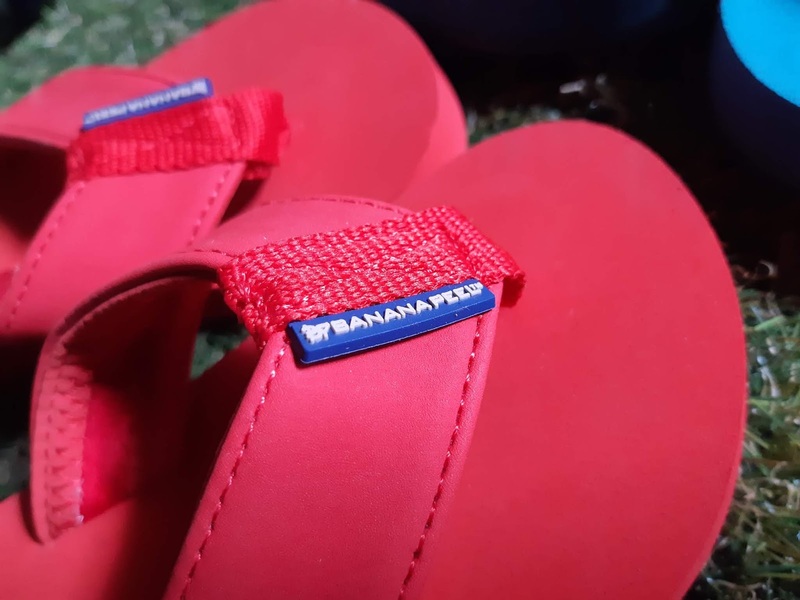 But look at the double or criss-cross stitches on the inner straps of the Banana Peel flip flops, it obviously won't easily break. Plus, inner strap is made of cloth so less marks and irritation, it's soft to my kids' skin. I love that it's made of eco-friendly and non-harmful materials which make it environmentally safe. Truly the brand care for their users' health and our dear Mother Earth. 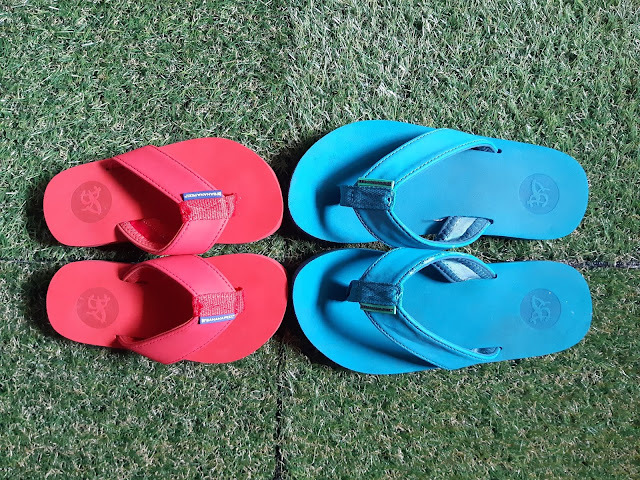 The Banana Peel Crewe Junkyard Flip-Flops are mader of 100% rubber, and non-toxic paints were used to give colors to their every footwear. These pairs are highly recommended to actively moving, dancing, running and jumping kids like my boys. 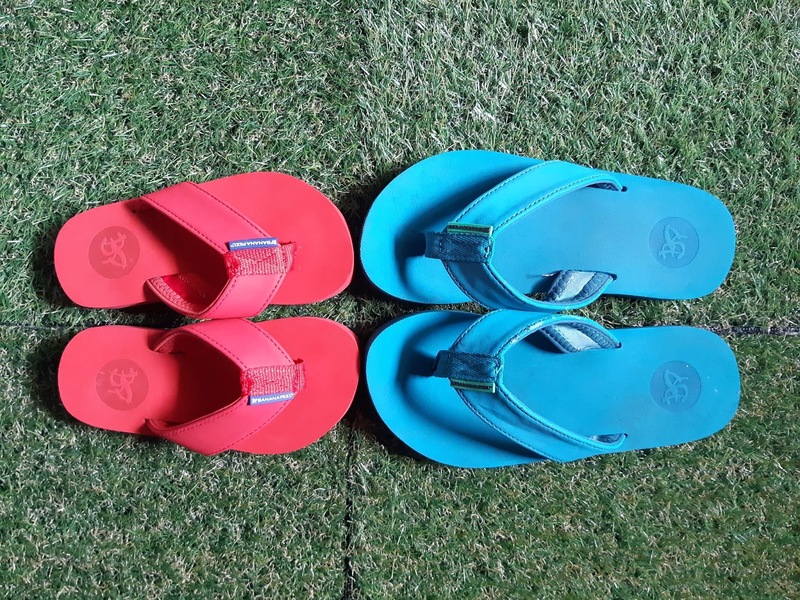 These flip-flops are thick which measures half an inch thick. 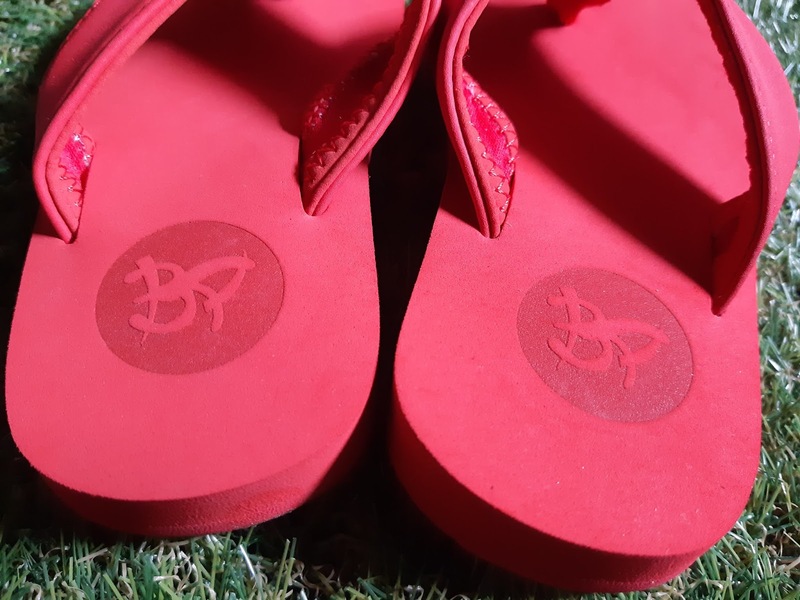 This just means, it will definitely pass the wear and tear test which playtime brings to these flip-flops. The molded rubber and EVA bottoms offer arch support for all day sole comfort. 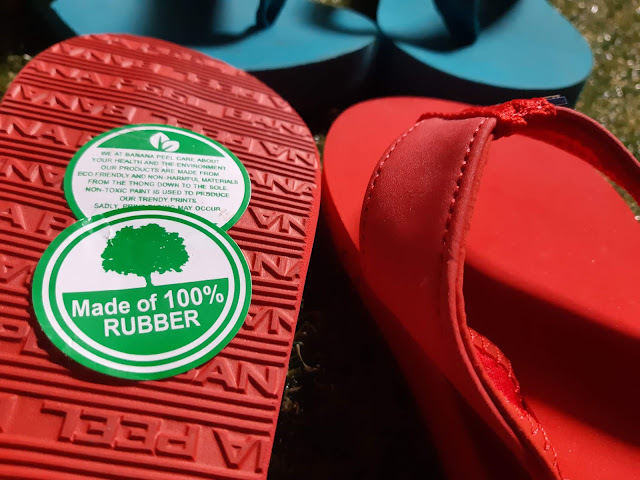 Pwedeng ma-abuse but it will stand the test of use because looks and feels of the rubber slippers, durable na talaga! 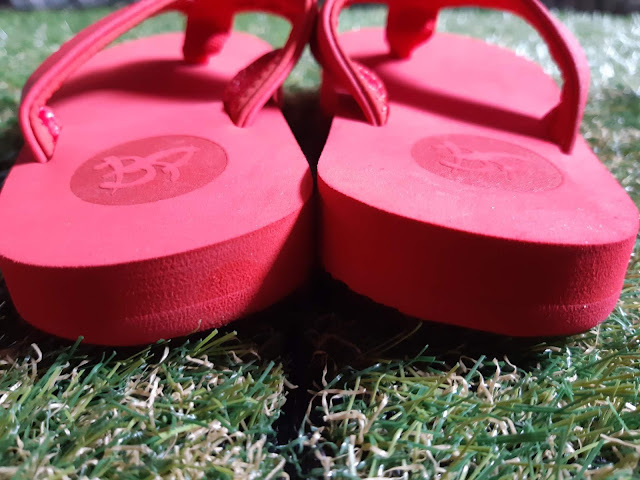 Happy to receive these flip-flop for my kids and discover these for them. It's an all-around cozy fit and soft feel like no other. 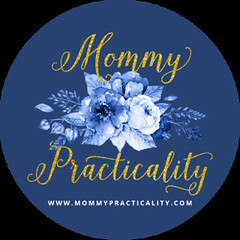 Plus, it's also stylish and colorful, definitely attractive to my visually motivated kids. Let me just also add, Banana Peel flip-flops for kids, men, women are conveniently available on line! Yes! 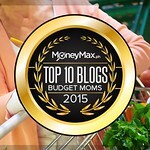 I love convenience because there are days that I really can't go out and shop. So this is a PLUS points for me! Shipping and service fees apply for orders up to 2 pairs. 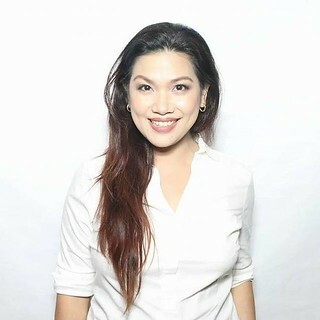 But FREE delivery charge for Php1,000 worth of purchases. You could also order online and pick it up in their stores. Plenty of payment channels available including COD for Metro Manila orders. 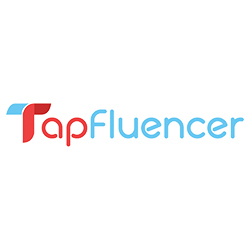 For more info, take a look at their FAQs on their website. For their online store go to https://www.bananapeel.net/. You'll discover that they not only have flip-flops or sandals for the whole family, but they have other products available! They now have Contigo Hydration Bottles, Umbrellas (compact or golf), and Skin Care (foot spray and body butter)! 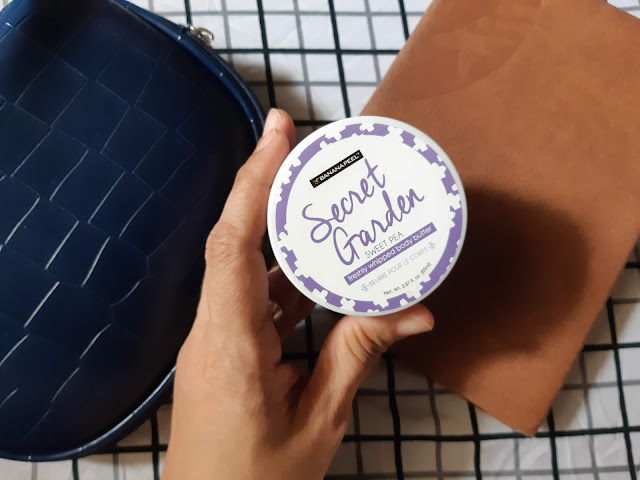 Look at what I have here, their Secret Garden Body Butter in Sweet Pea scent. 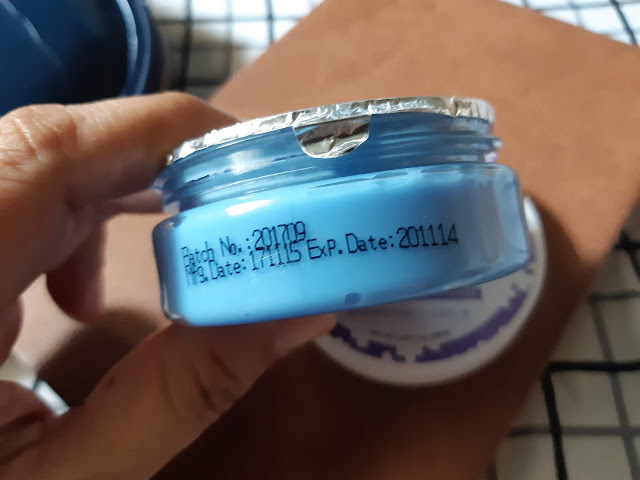 I love that it has its expiration date clearly visible to the user. Happy that it's cruelty-free, it's not tested on animals. 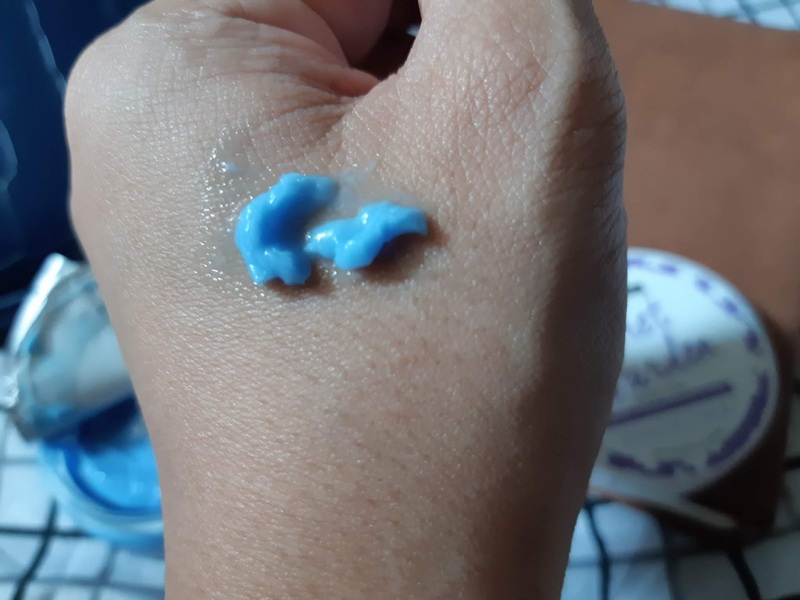 When I tried it, it lathers on my hand easily, it smells good, and it's not sticky. It made my skin velvety smooth. So yes, this will be a new addition to my bedtime ritual. I'd like to say thanks to Banana Peel for letting me and my kids experience their products first hand. 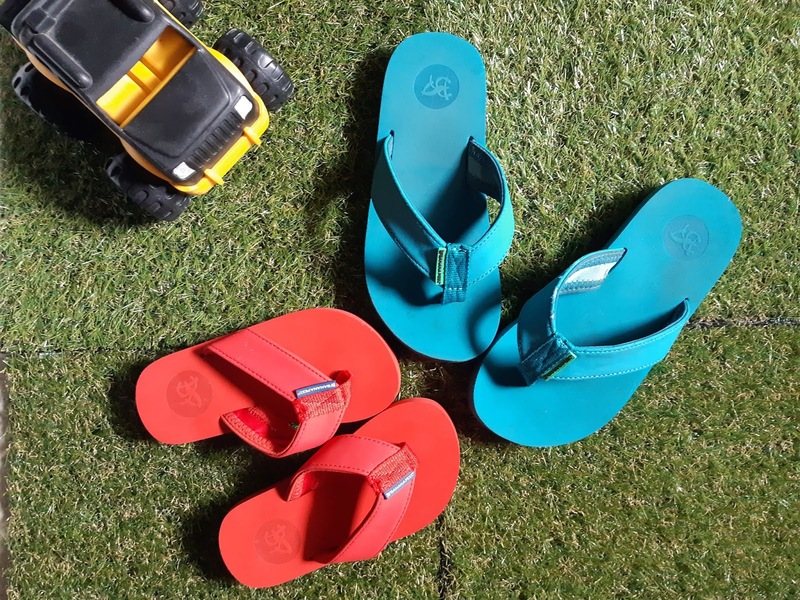 I highly recommend their durable Crewe Junkyard Flip-Flops for kids who are active at play! For updates, promos and more info, you make follow them on their social media sites: Facebook and Instagram.